Comprehensive bench system held in stock for a fast delivery. 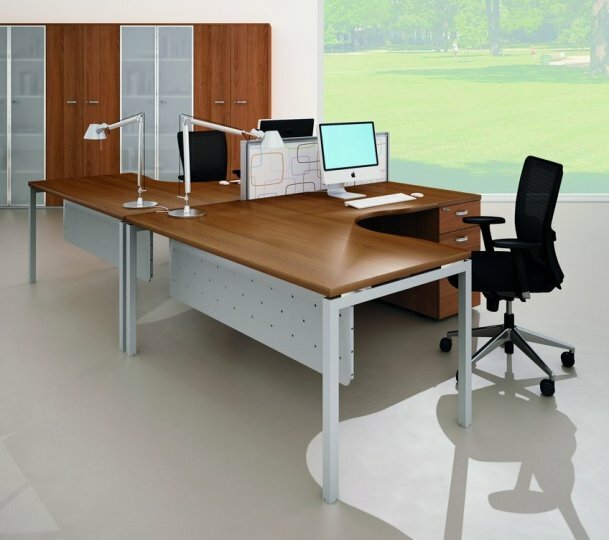 Tops are 30mm thick durable MFC with ABS edge protection with a choice of seven desk top finishes. Choose from Walnut, White, Light Oak, Cherry, Light Grey, Beech or Canneletto Walnut. The ronust 40mm x 40mm square leg frame is available in powder coated silver or white. The desk feet have inbuilt levelling for use on uneven floors. The beam underneath the desk is 60 x 30mm. Three is also an optional cable mangement tray available. Tanara is manufactured to stock in Europe and comes with a three year factory warranty.